Malcolm Faed's Blog: How Much does it cost to charge? Not much compared to the same period last year (may). 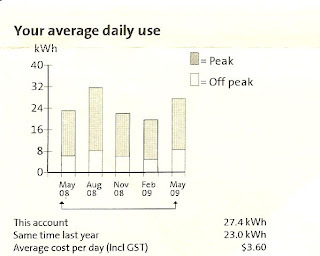 Note the cost per day is total household usage.